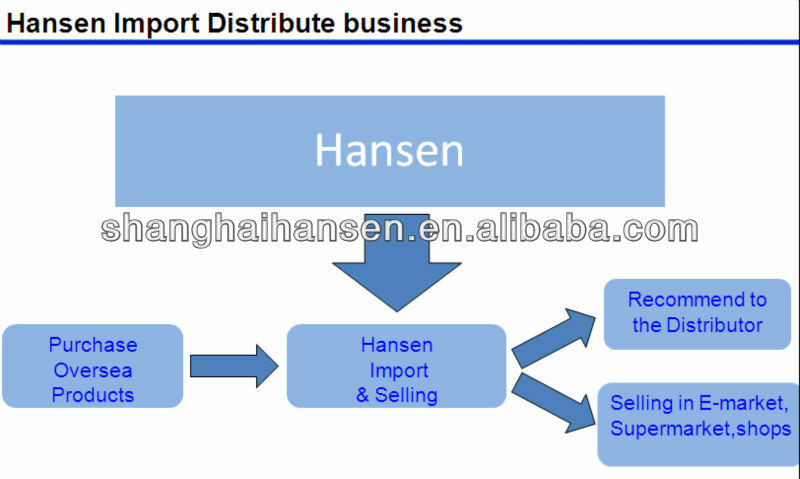 Shanghai Hansen Global Supply Co., Ltd. being the service agent for the import & export for the SNACK FOOD Set up in Jan. of 1982,registered with RMB 100,000,000.00, It is a state-owned comprehensive import & export sizable Co. with modern concept mainly dealing the international trade of apparels , home-textiles , handkerchiefs & accessories , sidelining in light industrial products , machineries , tea , liquors ,dairies & snack food etc..
With the Chinese fast import increase of the snack food and as a membership of China Chamber Of Commerce for Import & Export of Foodstuffs, Native Produce & Animal By-Products. SHANGHAI HANSEN takes active part of the snack food purchases. Trained with much experience the team is greatly opening up the agent business (home & abroad) for the above mentioned items striving to become one of the important suppliers or service providers for the snack food domestically & internationally. 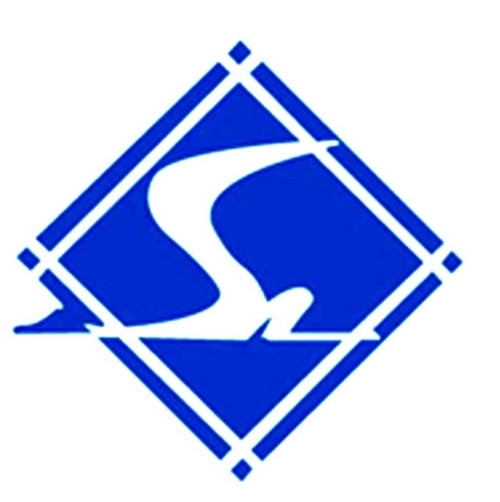 Since the company’s trade volume is over US$500,000,000.00 annually during the recent 3 years, The Co. has become the title among top 500 of China’s exporters, honored with silver & bronze medals separately. 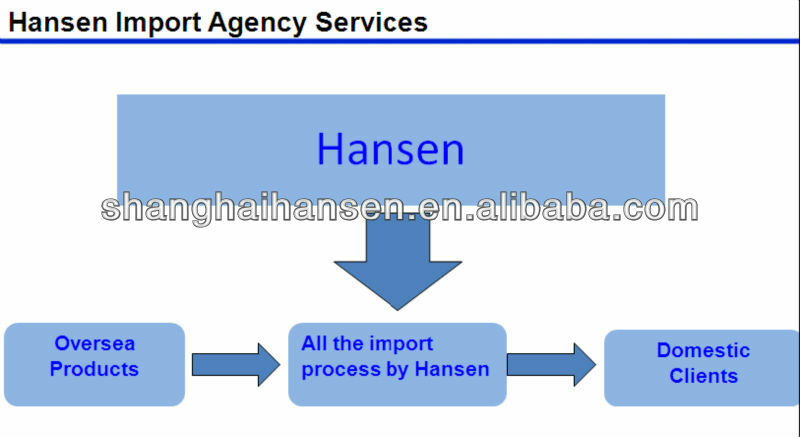 Pursuing to a spirit of “Diligence makes perfect & Cooperation makes wealth”, SHANGHAI HANSEN is ready to discuss such agent business with friends all over the world or to work closely with big manufacturers or buyers for the opening up of the common bright future. 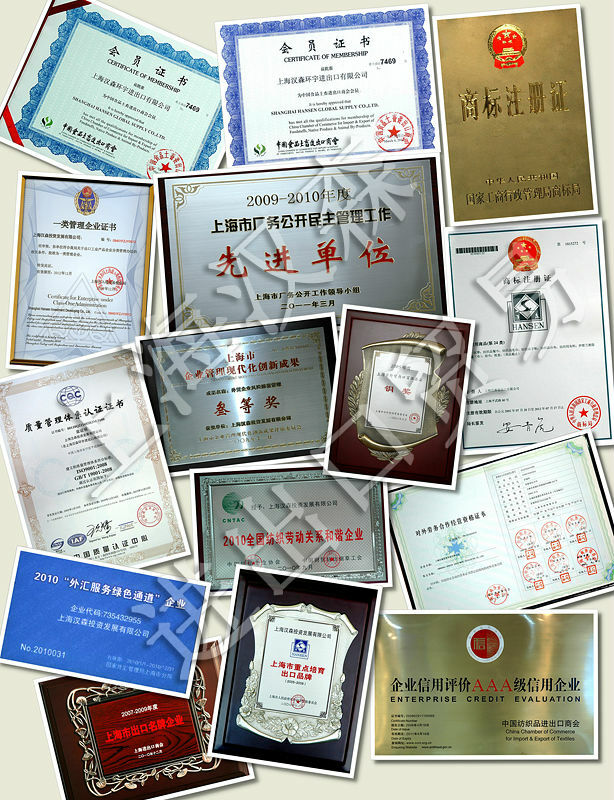 The Co. has passed through the International Quality Standard of ISO9001-2008 continuously during the past 10 years. We believe we’ll be able to become one of your sincere & reliable partners. 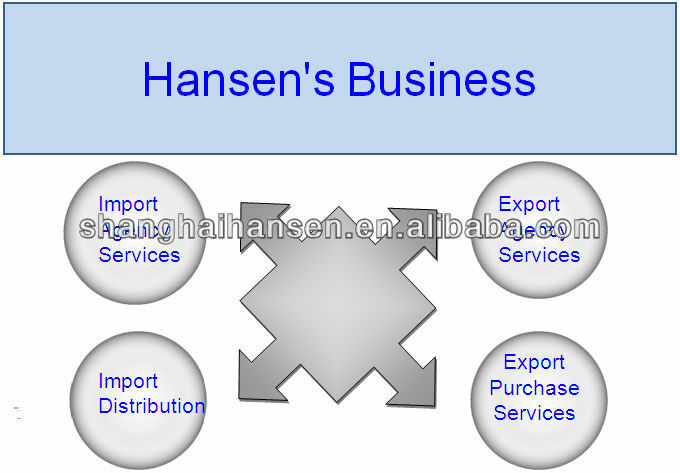 Shanghai Hansen Global Supply Co., Ltd. being the service agent for the import & export in Jan. of 1982,registered with RMB 100 million, It is a state-owned comprehensive import & export sizable Co. with modern concept mainly dealing the international trade of apparels , home-textiles , handkerchiefs & accessories , sidelining in light industrial products , machineries , tea , liquors & dairies etc. In recently years, Our company's trade volume has reached over USD 500million annually. The Co. has become the title among top 500 of China’s Exporters and top 100 of Shanghai Exportation,honored with silver & bronze medals separately. has passed through the International Quality Standard of ISO9001-2008 continuously during the past 10 years. 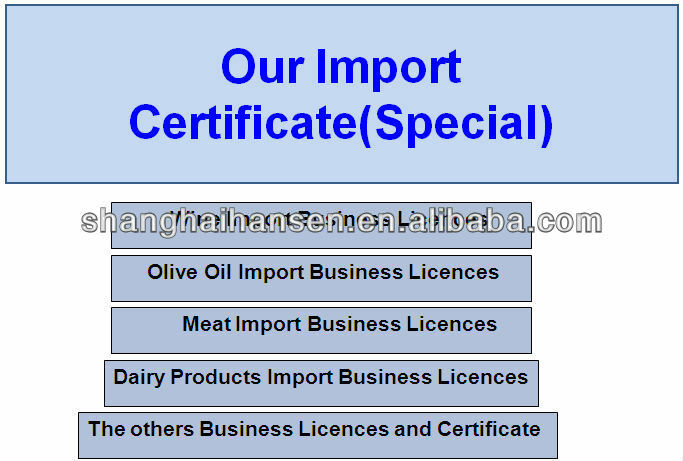 About the import and export agency services, we have a professional team which can provide you one-stop services, customs declaration,inspection,international transportation,credit insurance,storage,delivery and transportation,tax rebate,write-off,foreign exchange settlement and so on.